Leaning Star Winery: Extremely Fragrant Rose??? And Hard Knocks. Extremely Fragrant Rose??? And Hard Knocks. 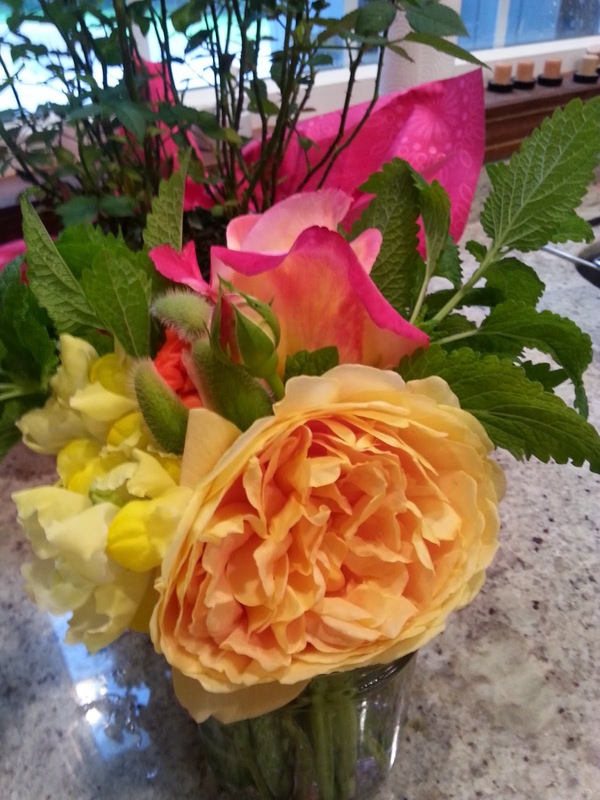 Garden Bouquet, Yellow, pink and Orange. What is this yellow rose? I can't remember the name. It is sooo intensely fragrant. Wow, what a drop in temperature from yesterday. I worked down in the winery all day. Further back-sweetened the Hard Knocks with frozen juice from last year and topped off with the apple wine blend that included the cider apples. Fragrant, bold yet smooth. Hmmm reminds me of that rose.